I'm so so excited to share this project! I'm so happy with how it turned out--anything that involves sewing is always a complete gamble for me, but this really came together somehow! I began this project thinking it could be for Luke, but he ended up choosing a nice leather case for his iPad. I had crocheted the two outer pieces long ago and never completed the project it--until today! I can't even adequately explain how I made this because I honestly don't know. 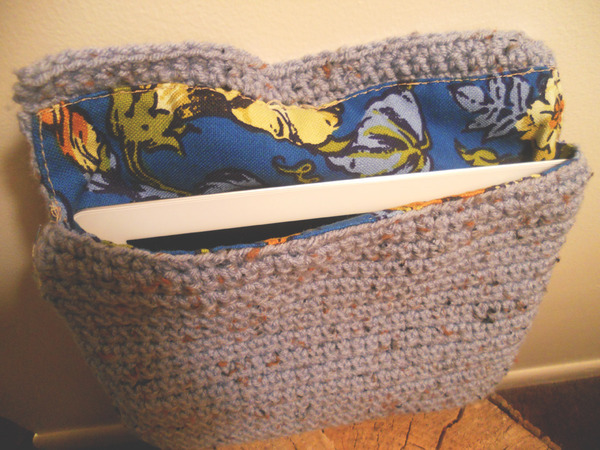 I can tell you that I used a simple single crochet stitch to make two outer pieces which I crocheted together on three sides to make the shell. Then, using my sewing machine, I folded some fabric in half and stitched up the sides to make the liner. 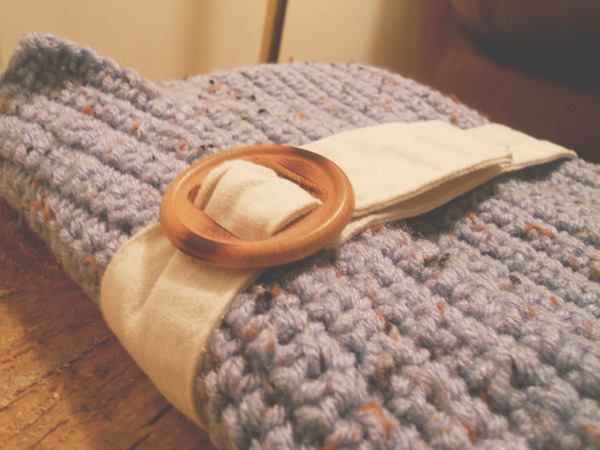 I then inserted the liner, hemmed the top edges and hand-stitched them to the crocheted shell. Lastly, I sewed a belt buckle and an old sash to the outside so you can enclose the iPad safely inside. In other words, I had a vague plan in mind, and from there I proceeded to wing it. Do you have an iPad? We love ours. This sleeve will be really great to toss the iPad into when you want to carry it in your bag without risk of damage. The inside fabric is super soft and pretty, and will protect the screen from scratches and ugliness. Please go buy it here! It took hours to make and I'm selling it for a super affordable price. Because I love you. Also, the elephant in the room is that I didn't make anything on Friday. Sigh. Stuff happens and there were some work-related things that came up--thus I bailed. But to make up for it, I have a little giveaway for you! YAY! While in Chicago for Christmas, I visited the most amazing spice shop. Luke's mom loves to frequent it when she visits, so his Aunt Becky took us there. Love at first sight. 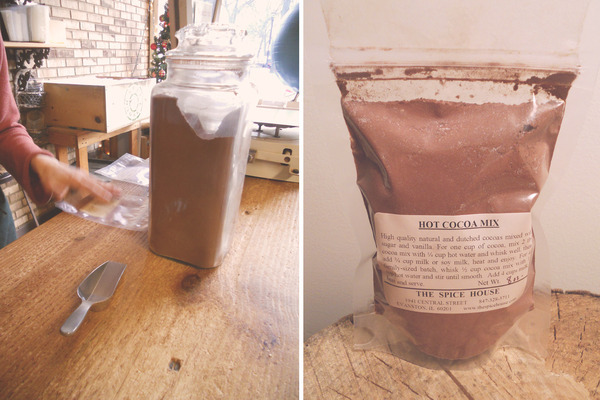 This hot cocoa mix is incredible. The shop owner let me have a little taste and I really wanna keep it for myself, but to thank you for reading this month (& especially for buying!) I'm giving away this 8 oz. bag to one of you readers. Leave a comment letting me know what your go-to spice is and I'll pick a winner this Friday! For an extra entry, tweet a link to this blog post or post on Facebook (or both!) and leave an additional comment letting me know you did!